Gary is a shareholder in the firm’s Corporate group. Gary represents businesses from formation through all stages of operation, assisting clients in many areas including employment, shareholder and director rights and duties, corporate governance and other internal issues. He also represents clients in connection with purchases and sales of businesses, with an emphasis on mergers and acquisitions and asset sales and stock purchases and sales across all industries. He represents all types of individuals and entities including corporations, general partnerships, limited partnerships, limited liability companies and limited liability partnerships. Gary is a former chair of the Business Law Section of the Sacramento County Bar. Gary also has tremendous experience representing both lenders and borrowers in financing and loan transactions to fund both operations and expansion. These transactions have included unsecured loans and loans secured by real and personal property collateral. Gary has taught courses on the Uniform Commercial Code (UCC) and is an expert in personal property secured transactions. 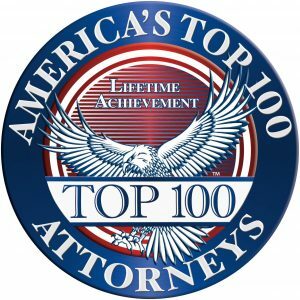 Gary was named as one of the Top 100 Northern California Super Lawyers in 2012 and 2018 and was selected for inclusion in Northern California Super Lawyers from 2010-2018. He was also named one of the Top 25 Sacramento Super Lawyers for 2013, 2014, 2015 and 2018. Representation of a borrower in the construction industry for loans totaling over $100,000,000. Representation of a syndication of banks in a $100,000,000 loan to borrowers in the petroleum industry. Representation of an agricultural borrower in a $450,000,000 loan transaction. Representation of a seller in the health/pharmaceutical industry in an $80,000,000 stock sale transaction. Representation of a foreign buyer acquiring a controlling ownership interest in an analytical processes business. Representation of a syndication of banks in $65,000,000 loan to a company in the recreation industry. Representation of a seller in the automotive parts industry in a $100,000,000 transaction. Representation of numerous buyers and sellers of businesses in the manufacturing, agribusiness, food products, computer automotive, retail, and technology industries.